For the first time, the latest generation of Servometer® precision motion control couplings are available for purchase on our new, online web store. These versatile, flexible couplings are capable of accommodating axial motion; parallel misalignments up to .076"; and angular misalignment up to 31 degrees. Choose between standard parts replacement, testing, and development. Servometer will design, test and modify custom couplings to client specification. Top Product: Most effective wedge-locking washer? How many American homes can Boeing's new wide-body jet power? 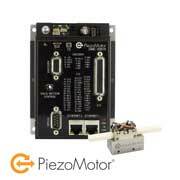 MICROMO announces the launch of the DMC-30019 Single-Axis Controller from PiezoMotor. The DMC-30019 is a customized controller/driver for use with Piezo LEGS® motors from PiezoMotor Uppsala AB (Sweden). The unit is built on the DMC-30000 Pocket Motion Controller Series, the latest generation single-axis motion controller from Galil Motion Control, Inc. With the Piezo LEGS® direct drive, motor size is significantly reduced and precision is gained by elimination of bulky and lashing mechanical parts. It took six weeks for designers, engineers, and finish techs at Oak Ridge National Laboratory to put together a fully drivable 3D-printed Shelby Cobra replica. The bright blue sports car, a celebration of the racing car's 50th anniversary, was hurriedly prepared in the short term for a debut at the 2015 North American International Auto Show in Detroit this past January. In the long term, the feverish efforts produced a working lab on wheels that aims to become a plug-and-play testbed for new engine, fuel cell, and battery technologies. 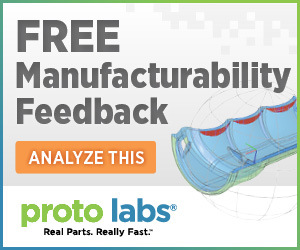 Get valuable design feedback or a quote for your part creation using additive manufacturing, machining or injection molding. Stanford University scientists have invented the first high-performance aluminum battery that's fast charging, long lasting, and inexpensive. Researchers say the new technology offers a safe alternative to many commercial batteries in wide use today. The U.S. Army is looking at helmet prototypes with optional parts to protect the face and jaw from various threats, including blast waves. But more parts lead to more surprises. Sometimes you just have to see it to believe it. Inspired in part by a scene in "Terminator 2," the new Continuous Liquid Interface Production (CLIP) 3D-printing technology from a startup company called Carbon3D harnesses light and oxygen to grow objects from a pool of resin instead of printing them layer by layer. The Raspberry Pi 2 Model B credit card-size computer is six times faster than the previous model and now boasts 1 GB of RAM to run bigger and more powerful projects. This fast-boot, single-board computer is just screaming for your projects, featuring a quad-core processor running at 900 MHz. 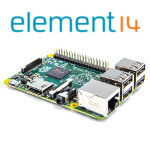 All previous Raspberry Pi projects are compatible with the new Raspberry Pi 2 Model B, and the expanded GPIO pins, advanced power management, and connectivity make it possible to connect up to four USB devices. All this, and the board is still 35 bucks! Since its launch in February 2012, over 4 million Raspberry Pi boards have been sold. 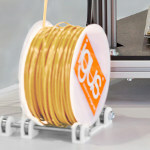 Plastics expert igus has introduced the world's first plastic filament for 3D printers enhanced with tribological, or low-friction, properties. The material, 50 times more resistant to wear and abrasion than conventional 3D-printer materials, is ideally suited for creating custom bearings. igus even provides some STL design model files too. NASA's crawler-transporters, two of the largest vehicles ever built, have carried NASA rockets and spacecraft to the launch pad for the last 50 years. Now these mega machines are being beefed up to carry NASA's Space Launch System (with the Orion spacecraft atop) and a whole lot more. As you heat up a piece of iron, the arrangement of the iron atoms changes several times before the material starts melting. This unusual behavior is one reason why steel, in which iron plays a starring role, is so sturdy and ubiquitous in everything from teapots to skyscrapers. But the details of just how and why iron takes on so many different forms have remained a mystery. Copper foam from Goodfellow combines the outstanding thermal conductivity of copper with the structural benefits of a metal foam. These features are of particular interest to design engineers working in the fields of medical products and devices, defense systems and manned flight, power generation, and the manufacture of semiconductor devices. 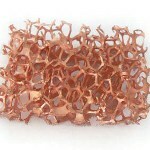 This product has a true skeletal structure with no voids, inclusions, or entrapments. A perennial Designfax favorite. If your vision of the future is 3D printing your own high-hardness steel bearings right at your location on demand, your wish has been granted. A new development from the NanoSteel Company supports the market need for on-demand, on-site wear parts while addressing the current challenges in 3D printing of high-hardness parts. 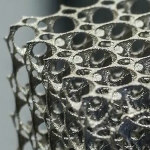 NanoSteel's powder alloy overcomes one of the major hurdles to achieving a high-hardness metallic part through additive manufacturing: the tendency to develop cracks during part builds. This material has successfully produced a fully dense (99.9 percent) crack-free part with hardness values over 1000 HV, wear resistance comparable to conventionally manufactured M2 tool steels, and a uniform microstructure. Top Product: Could this be the world's most effective wedge-locking washer? 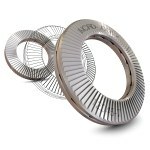 You can count on one solution to meet all your bolt-securing needs using the Nord-Lock X-series washers. They combine Nord-Lock's unrivaled wedge-effect solution (to prevent spontaneous loosening) with an exceptional spring effect (to compensate for loss of preload due to slackening). When used in pairs, each washer duo has cams on one side and radial teeth on the opposite side to secure the bolted joint with tension instead of friction. Quick and easy to install and remove with standard tools, this is a great solution for handling vibration and dynamic loads, painted or powder-coated surfaces, soft metals, and composites and polymers. 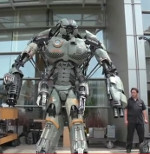 The secret of Wired's Comic-Con robot is ... it isn't a robot at all. It's a cleverly designed suit that employs a combination of practical effects tricks to give the illusion of a lurching heavy droid. "Tested" speaks to the makers of this amazing suit to learn about its innovations (including a whole lot of 3D printing) and how it is unlike any special effect used in movie production. 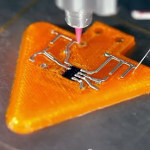 Voxel8 has created the world's first 3D electronics printer, allowing users to combine electronics with novel 3D mechanical forms using the same machine. Integrating embedded conductors, wires, and batteries into plastic parts doesn't happen in one super-simple step, but this machine demonstrates a key capability for the future of additive manufacturing: producing instantly usable 3D-printed parts with embedded functionality. New Autodesk software crafted for the Voxel8 printer, called Project Wire, provides a ton of options on the printed-circuit side. 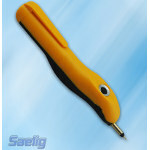 The printer uses highly conductive silver-based inks to make the circuits.